These designs make today's First Class look boring. Let’s face it, flying is often a chore. Those tiny seats. That limited legroom. And airlines’ constant push to make the flying experience more miserable. That reality seems really far from the potential future presented at last week’s 12th annual Crystal Cabin Awards, a ceremony honoring innovative aircraft cabin concepts in Hamburg, Germany. These designs make today’s first class look totally pedestrian. 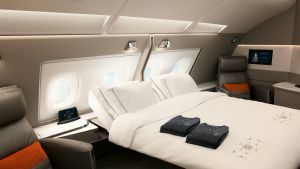 Here’s a taste of what the world’s best airplane cabin designers envision for the future of commercial flight. 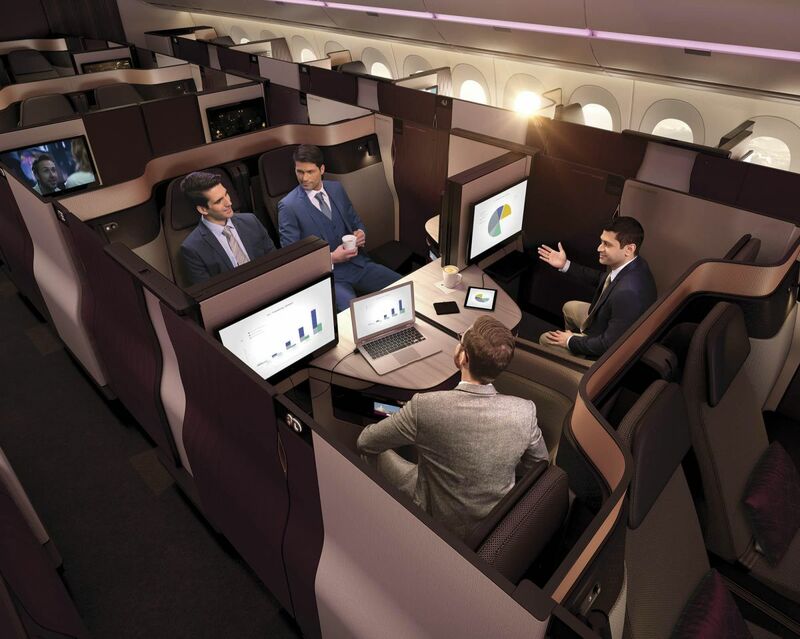 Qatar Airways won the Best Cabin Concept award for Qsuite, a business class seating system already available on a few of the airline’s flights. It’s the first configuration to include rear-facing seats — possibly not great for people prone to motion sickness, but the seats do make it easier for groups to socialize. To chat or share a meal with their fellow fliers, passengers just slide back the divider between pairs of seats. 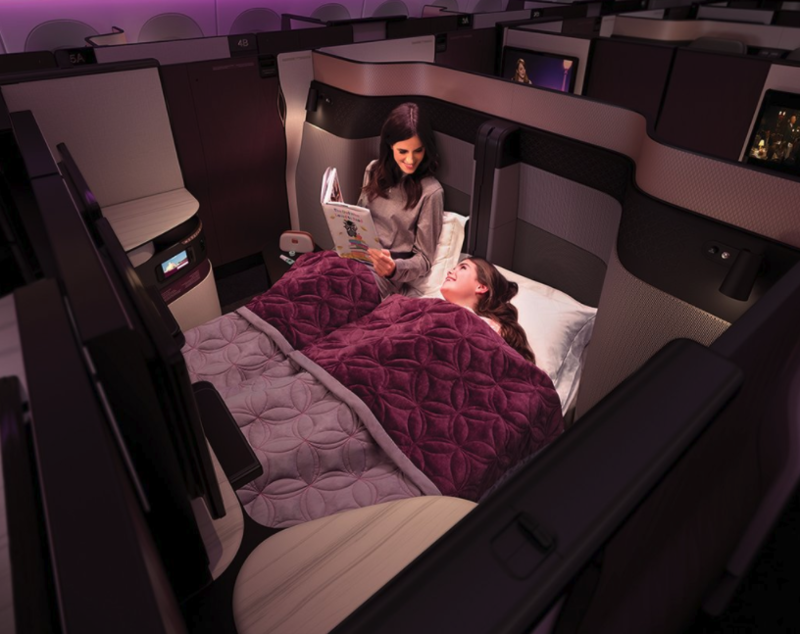 Then, when they’re tired of talking, the Qsuite cabin can transform into a double bed — the first ever featured in business class. 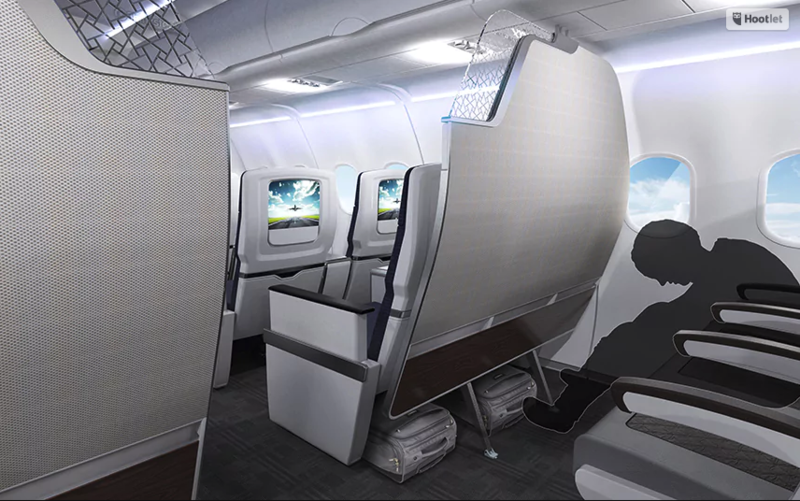 Rockwell Collins scored a trophy at the Crystal Cabin Awards for Silhouette MOVE, a partition separating various classes on a plane.That might sound an awful lot like they won the Cabin Systems category for designing a wall, but it really is a pretty cool wall. Instead of remaining static like current partitions, this one is adjustable and gives passengers behind the divider an extra cubic foot of space. That added legroom could be the difference between a comfortable, productive flight and one you wish would just end already. Another Rockwell Collins design landed a finalist slot in the Material and Components category: the Secant Luminous Panel. 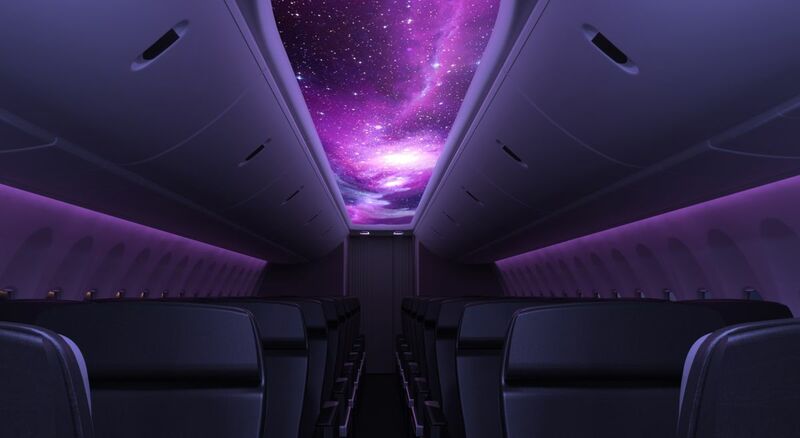 The panel makes it possible for airlines to transform the cabin’s ceiling into a vibrant visual display. Passengers could fall asleep under an image of the night sky (or an advertisement for McDonald’s, but let’s be idealistic for a minute). Based on the Crystal Cabin Awards, on-board entertainment could be way more enjoyable in the future, too. 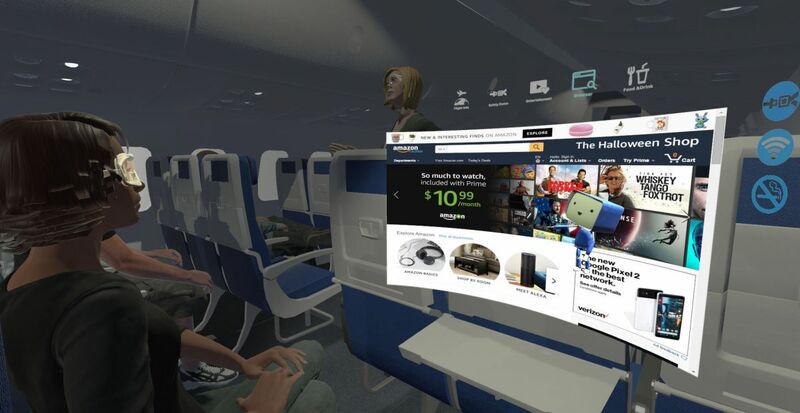 Instead of the traditional 2D screen in a seat’s headrest, seats could come equipped with virtual reality (VR) headsets. You could then use the headset to access in-flight service systems, like the one Visionary Concepts finalists Boeing and the Live Well Collaborative designed. 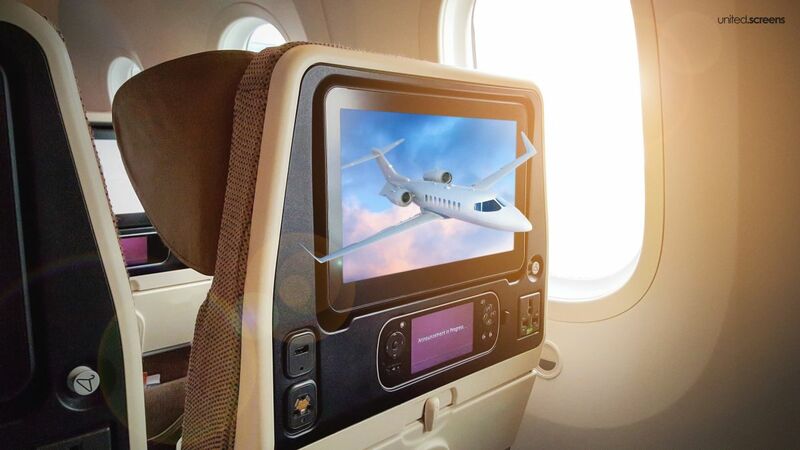 Or perhaps passengers will watch movies on 3D televisions that don’t require goofy glasses — that’s the vision of United Screens, another Crystal Cabin Award finalist, this time in the In-Flight Entertainment and Connectivity (IFEC) category.